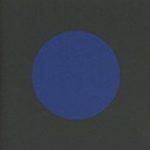 Check out more staff pick CDs featuring from Beach House to Alice Coltrane to New Zealand composer Ross Harris. We will be back with our ‘Best of 2017’ early next year so keep checking! 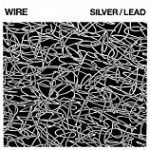 Highly influential UK post punk band, Wire’s first gig was on April 1 1977 and to mark the 40th anniversary their 16th album, ‘Silver / Lead’, was released on March 31 2017. 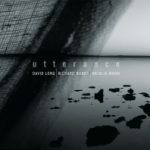 Less fast and angular than usual, on this record the band explore a slower and darker, introspective realm which opens up a more emotional edge to their characteristic cerebral remove. 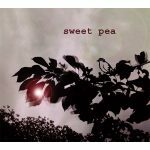 The slower pace also enables the band to create some gentle and haunting moments within what is arguably their most accessible album to date. Radiohead’s ground breaking third album gets a remastered 20th anniversary re-release which includes b-sides and tracks rejected from the original. 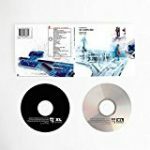 The album’s prescience in portraying the digital angst and alienation that was just around the corner, coupled with its bravely experimental approach to songcraft has ensured the album classic status and twenty years on that status is definitely justified. 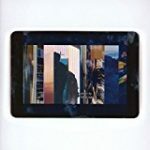 Anyone following US born, Berlin based electronic musician Laurel Halo’s career will be pleasantly bewildered by her third release as it is as different from 2013’s ‘Chance of Rain’, which featured dance based electronics, as that release was from 2012’s vocal leaning ‘Quarantine’. 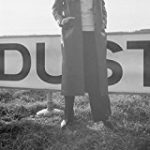 On ‘Dust’ her music remains as unclassifiable as ever and, as much jazz as electronica, has attained a new found warmth and softness with her treated vocals woven through absorbing and often playful sound textures and beats to create a collection of tracks as original and beguiling as anything you will hear this year. Spanning the ten years of their career, this compilation flows as well as any of the indie star duo’s releases and offers some lovely peeks into their creative process via demo versions and unreleased tracks alongside remixed and live versions of their woozy lo-fi dream pop. While this album is a treat for established Beach House fans, surprisingly, it would serve well as an introduction for the curious to one of the most consistent indie acts of the 2010s. 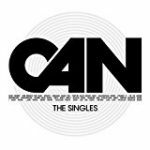 One doesn’t immediately think of German art rock innovators, Can, as a singles band, but they actually did write the occasional offbeat pop song, and these are all compiled here from the bands most creative period – 1969-1978. Surprisingly, the 1971 single “Spoon,” actually reached the German Top Ten after it was featured as the theme song to a popular television show and the cosmic disco single “I Want More” hit the U.K. Top 30, and even resulted in an appearance on the BBC’s ‘Top of the Pops’. The odd whimsical inclusions, such as an instrumental version of Silent Night, sit well alongside more serious tracks over what pretty much amounts to an alternate universe hit parade. 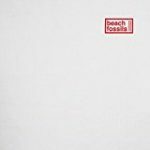 NY based Beach Fossils’ third album is possibly their best yet as they take their sweet indie pop one step further with the addition of orchestral and easy listening sounds including strings, flute, sax, piano and harpsichord, a move that is sure to have Brooklyn hipsters drooling into their cupcakes. The melodies, as lovely as ever, are delivered via Dustin Payseur’s wry, weary vocals, accompanied by characteristic jangly guitars, lyrical bass and the aforementioned orchestral touches which help to create gorgeous shimmering soundscapes. Singer-songwriter, drummer-guitarist Phil Seymour was half of Tulsa rockers the Dwight Twilley Band who scored a big hit with the song ‘I’m on Fire’ in the mid 70s. Twilley and Phil Seymour met in Tulsa in 1967 at a theater where they had gone to see The Beatles’ A Hard Day’s Night, and soon began writing songs and recording together under the name Oister. Eventually, they went to Los Angeles & signed with Shelter Records, a label co-owned by Denny Cordell and Leon Russell, in 1974.Cordell promptly changed the group’s name from Oister to the Dwight Twilley Band, which set the seeds for future problems arising from Seymour’s anonymity in the partnership. Their first single, “I’m on Fire”, reached #16 on the charts in 1975, but a follow-up single, failed due to distribution problems, as just after the single was released Shelter Records collapsed in the midst of a lawsuit between Russell and Cordell. The Dwight Twilley Band’s first completed album went unreleased for 10 months losing all the bands momentum to that point. A label shift and a second album also didn’t score commercially, leading Seymour to quit the band in 1978. 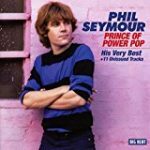 In 1980 he signed to Boardwalk Records and he released his first solo album, titled Phil Seymour, which became a revered power-pop classic. A second album followed in 1982 but was weakened by his drug problems at the time, along with the death of Boardwalk Records founder Neil Bogart who died shortly after its release, collapsing the label. In the mid-80s he joined roots rock band the Textones, as a singer/drummer. While touring he noticed lumps appearing on his neck, and he was subsequently diagnosed with lymphoma. Seymour moved back to Tulsa to undergo treatment for the cancer and continued to record and play on the local scene until his death on 1993 at the age of 41. One of the most respected singers of the power-pop genre, and one who never quite had the career his talent deserved. This compilation collects up some of the best tracks from his first 2 albums with some outtakes and unreleased material, to present a solid picture of another great artist who left us too soon. 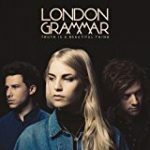 Working Week, Young Disciples, Portishead – the trio bands consisting of a female singer and two male musicians have been notable in the UK music scene, and London Grammar is the newest and possibly the most important addition. Like the aforementioned bands, the female singer Hanna Reid, who is often compared with Florence Welch, is the centrepiece of their music, and her melancholic, mesmerising voice is truly remarkable. They keep their music simple and the atmospheric otherworldly soundscape they deftly create is the perfect pallet for Reid’s voice. For this sophomore album, they invited eminent producers, including Paul Epworth and Greg Kurstin -both have worked with Adele-, and sharpen up their intimate yet emotional world which impressed us immensely in their successful debut album If you Want. This is a beautiful thing. The previous album issued from Ninja Tune was performed by the trio under the name of Portico, but back to the quartet, Portico Quartet presents an excellent album. They also found their new home; Manchester’s label Gondwana Records. The up and coming talents, whose pursuit of new music based around jazz, such as Gogo Penguin and Matthew Halsall, have made a breakthrough from them, and for Portico Quartet it’s the ideal home for their fresh start. They use a unique instrument, hang – a custom made steel drum like percussion – and ingeniously blend its metallic yet lyrical sound into their music. A great variety of musical elements, namely jazz, ambient, post rock, downtempo and so on, can be heard in their music but their genre is none of them. This new effort shows their ability to weave beautifully textured, tonally inventive hybrid music, and it seems as though they make a new departure while summarising their musical journey to date. Brilliant. 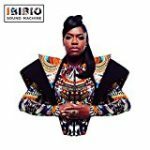 This is a truly global album fusing musical elements and cultures from all over the world from sleek 80s pop synth lines to African jazz and techno it’s all in there in. In this fantastic cultural mash up that never sounds lost or confused. Probably because wherever this eight piece band draws its diverse inspiration from they always infuse it with a heavy sprinkling of Nigerian highlife . An exuberant, joyful and rhythmic album. 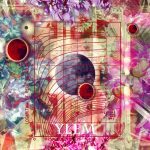 Ylem is a multilayer soundscape album comprising of numerous elements but at its core is one big concept, the band wanted to incorporate sound from the birth of time onwards and from the entire universe. To do this musical explorer Robert Baldock, erected a radio antenna and recorded the background radio transmissions from deep space, these by their very nature span across time and space , from the birth of the universe and the big bang and onwards and outwards and come from all areas of our universe. He then used these radio transmissions to trigger a series of hand built modular synthesisers. Using this as the core sound, fellow band members Emma Bowen and Neil Johnstone added a wide variety of content including auto harps, musical saws, found recorded sound, and a wide variety of synthesisers. The music is strangely in sympathy were with the strange ethereal haunting mood of the original “cosmic” sources . A really out there experimental piece and quite unlike anything else I’ve heard. After many years an album featuring a small amount of Alice Coltrane’s mythical Ashram music has finally been released. 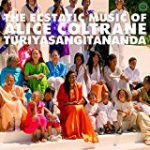 Alice Coltrane was already a musical prodigy before she married the legendary Jazz musician John Coltrane and after his sudden death she retreated to Sai Anantam Ashram and devoted the rest of her life to seeking spiritual enlightenment. These compositions were made to nourish this community and act as a meditational aids and were never intended to be heard beyond that community. The music is at once South Asian, African American, tranquil and uplifting . Constantly seeking like Alice herself musical and spiritual transcendence. A truly beautiful and sad album it feels as if the musicians are exploring what it means to be truly lost . It shifts from delicate melancholic songs to strange haunting soundscapes whilst carefully retaining overall cohesion. It’s difficult to describe but if Nick Drake or Tim Buckley had created a half sung ambient album with Brian Eno it might just have sounded like this. This is a truly remarkable album, it is what great music sounds like, this is a major work in any sphere of artistic endeavour and it’s what many musicians strive their entire lives to achieve and is one of the finest albums in any genre from anywhere I have heard in a very long time . It is the culmination of a lifetime for Richard Nunns who knew from the start of the albums production it would be his last work and it sounds as if he has placed some deep aspect of his very being into the piece. It is a modern beautiful abstract work that is very aware of the deep spiritual and cultural traditions from which it springs and embraces these roots whilst being totally unique and new and timeless. Its powerful, emotional, challenging, spiritual and simultaneously personal and universal. Ross Harris is New Zealand’s greatest living classical composer and is arguably the greatest composer this country has ever produced. He is going through a creative golden age as witness by his remarkable output recently his as yet unreleased sixth symphony is a remarkable and beautiful work and will be heralded on its release ( it was premiered earlier in the year in Auckland). 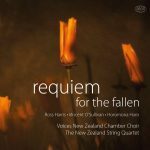 In Requiem for the Fallen he brings a lifetime of experience to bear on a deep, serious subject matter and produces a deeply moving, melodic, powerful and compassionate work. Highly recommended.